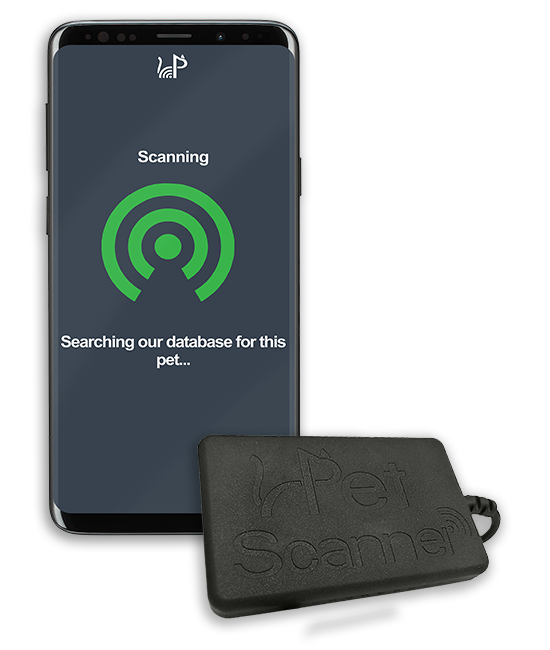 PetScanner is the world's lowest cost pet microchip scanner and works by pairing with our free app. The minimum information shown is the chip number and UK database the pet is registered with. Buy a PetScanner microchip reader from the PetScanner shop for just £9.99 - the world's lowest cost! Download the free PetScanner app from the Google Play store and register to create a free profile. Connect the PetScanner to your phone and click the green scan icon in the top left corner in the app. You will hear short beeps when you are close to a microchip and a longer beep when it has been detected! 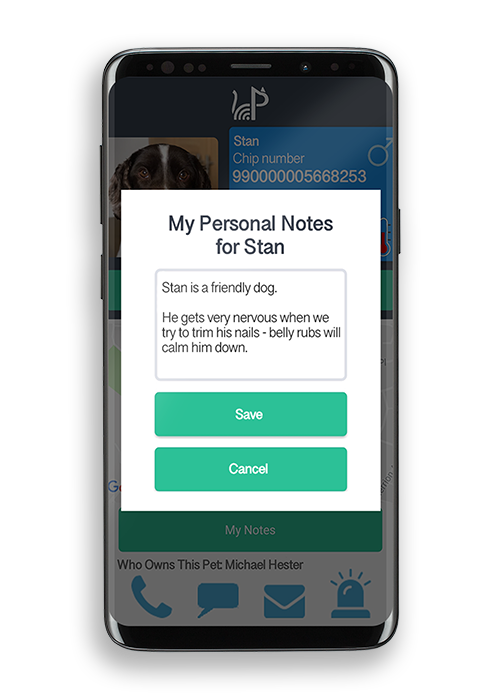 Enjoy the additional free features of the app such as finding your nearest dog friendly place, viewing local lost pets and seeing your scan history! We believe it’s useful to keep track of which microchips you have scanned with a PetScanner, that’s why you can view all previous scans in our app, under the ‘my scans’ section. 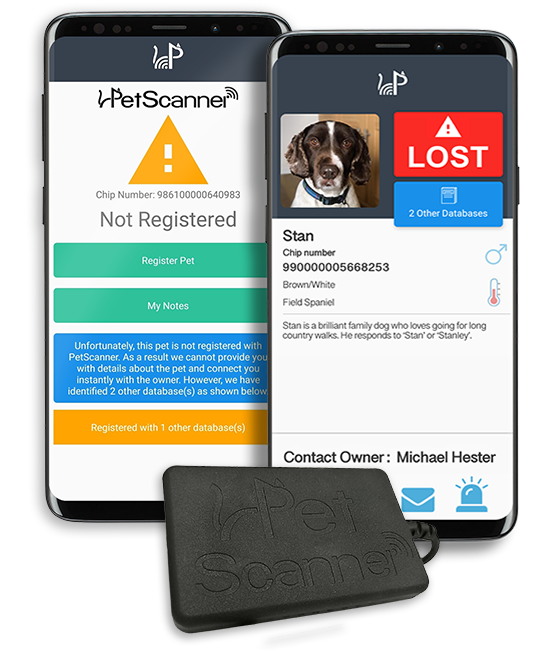 If a previously scanned pet was registered with PetScanner, you can view the chip number, where your scan was made and the contact details (name, phone number & email) of the pet owner. If a previously scanned pet was not registered with PetScanner, you can view the chip number and which database they were registered to. Make personal notes on each animal you scan to keep a log of the activity & behavior of a particular animal. These notes will only be visible to you and you can view them in your scan history or when you scan the animal again - great for groomers, walkers and kennels, as well as personal use! Watch our quick video on how to scan a pet with PetScanner. We currently offer the world's lowest cost cable microchip reader and will soon be releasing the world's lowest cost wireless microchip reader (compatible with Android and iOS). 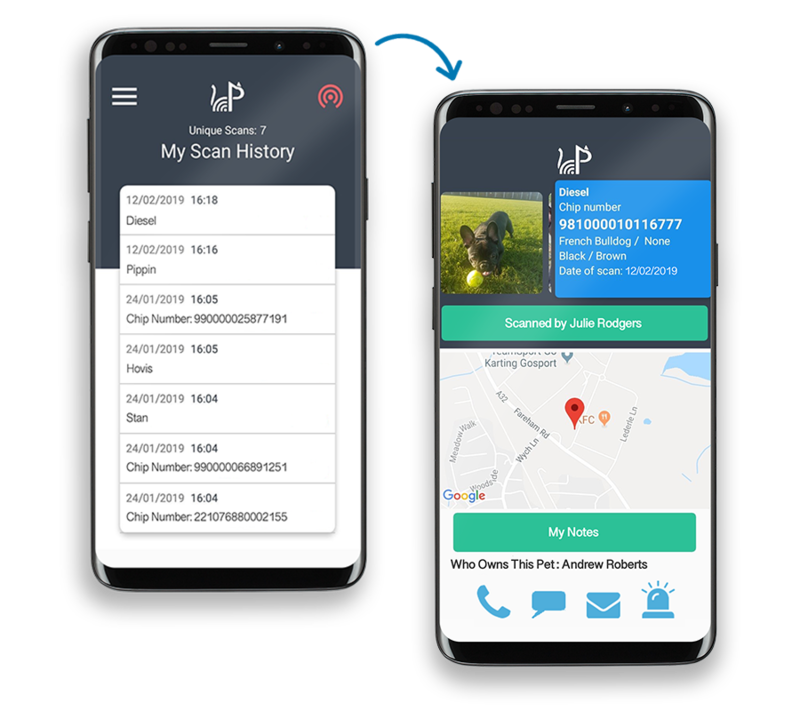 As well as this, we are a DEFRA-complaint pet database - we provide the lowest cost pet registration and also offer PetScanner Pet Protection from as little as £0.99 per month, which includes receiving instant notifications whenever your pet's chip is scanned or searched online.